BAGHDAD (AP) — Iraq’s new president has tasked veteran Shiite politician Adel Abdul-Mahdi with forming a new government nearly five months after national elections were held, state TV reported late Tuesday. Abdul-Mahdi is an independent who previously served as vice president, oil minister and finance minister. He is not allied with either of the two Shiite-led blocs that each claim to have the most support after May’s elections, in which no party won an outright majority. He was previously a member of the Supreme Islamic Iraqi Council, a large Shiite party with close ties to Iran. 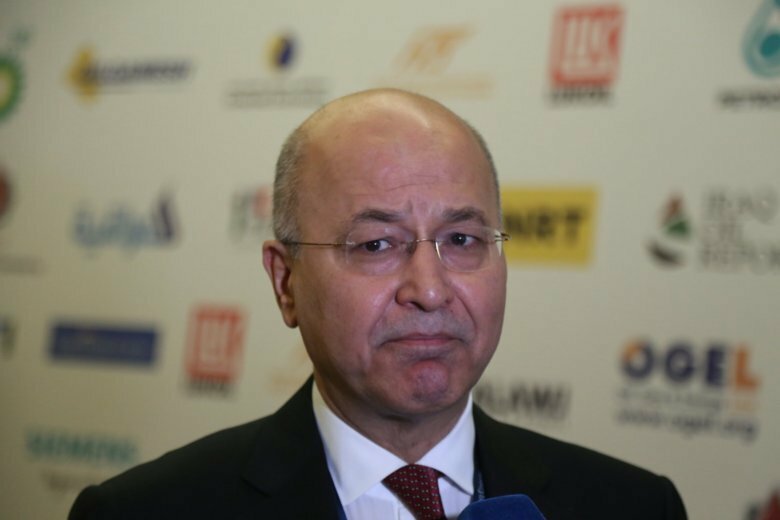 He was tasked with forming a new government by Barham Salih, a Kurdish politician who was elected to the largely ceremonial role of president in a parliamentary vote earlier Tuesday. Under an unofficial agreement dating back to the 2003 U.S.-led invasion, Iraq’s presidency — a largely ceremonial role — is held by a Kurd, while the prime minister is Shiite and the parliament speaker is Sunni. The prime minister-designate will have 30 days to submit his cabinet to parliament. Iraq held elections May 12. State TV said Salih, of the Patriotic Union of Kurdistan, won 220 votes out of the 273 lawmakers who attended Tuesday’s session. He was among 20 candidates for the post, including one from the rival Kurdistan Democratic Party. The two parties have dominated Kurdish politics for decades. Shiite lawmaker Hamid al-Moussawi said the lawmakers were supposed to vote Monday, but delayed the session for nearly 24 hours after the KDP and the PUK were unable to agree on a candidate. The parliament speaker eventually decided to hold a vote among all 20 nominees. The KDP’s nominee was Fuad Hussein, who served as chief of staff for the former Kurdish regional president Masoud Barzani. Born in 1960 in the northern city of Sulaimaniyah, Salih joined the PUK in 1976 and later worked in its foreign relations department in London. He studied at Cardiff University and the University of Liverpool. He held various posts in the Iraqi government after the 2003 invasion, including planning minister and deputy prime minister, and from 2009 to 2011 he served as prime minister of the Kurdish region. Last year, he broke away from PUK following the death of the party’s founder, Jalal Talabani, a former Iraqi president. Salih formed an opposition party, but returned to the PUK to be its nominee for president. Two Shiite-led blocs have emerged since the May elections, both of which claim to have the most seats and therefore the right to form a government. One is led by the current prime minister, Haider al-Abadi, and includes supporters of the populist Shiite cleric Muqtada al-Sadr, whose followers won the most votes in the election. The other bloc includes state-sanctioned militias, many of which are backed by Iran, as well as former Prime Minister Nouri al-Maliki. The various political factions had been mired in negotiations and horse-trading for months. Associated Press writer Ahmed Sami contributed to this report.